Get inspiration for spring cleaning! Join me on April 18th in NYC for an evening all about spring cleaning for your mind, body and home! 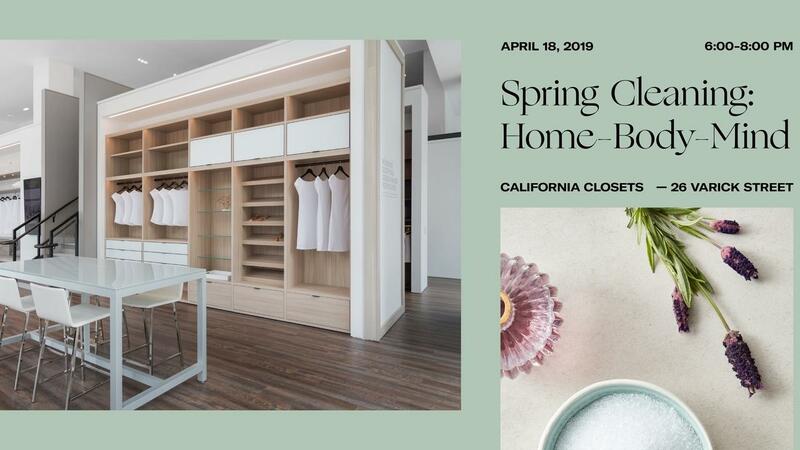 Hosted at California Closets beautiful Tribeca showroom, learn how to organize your home with intention, detox your life, and optimize your food and fitness routine with me and fellow speakers/moderators/hosts. Check them out on Instagram: @katiedalebout, @organizedecor, @freckledfoodie @helenvphelan and @ofspaceandmind!